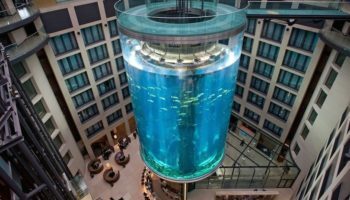 Though it remains far less well known or understood by foreigners than some other European countries, since reunification Germany has gained a higher profile as a travel destination. The most popular destination is Berlin, one of the most fascinating capitals in Europe. Many of Germany’s other major cities have proud histories as independent city states or as capitals of kingdoms in their own right. 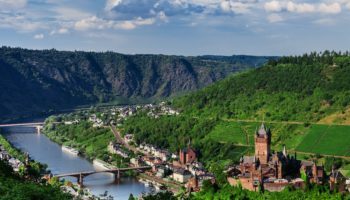 But the tourist attractions in Germany are by no means limited to the cities and many other great attractions can be found in every part of the country. Leipzig is a major city in Saxony, and it is also home to one of the largest monument in Europe. The Volkerschlachtdenkmal, or Monument of the Battle of the Nations, was built to remember the Battle of Leipzig in the Napoleonic Wars. During the battle, more than 100,000 soldiers perished. Although the battle took place in 1813, the monument wasn’t unveiled until 1913. Today, the monument is accompanied by a museum exhibit explaining more about the battle and the Napoleonic wars of the 19th century. Bamberg is a historic city in Bavaria, and it is home to a number of fascinating architectural landmarks. None is so interesting or important as the Old Town Hall, or the Altes Rathaus. Legend says that the city’s bishop wouldn’t allow the residents to build a town hall on existing land, so they decide to construct the building in an unexpected spot. The Altes Rathaus is perched on the middle of a bridge spanning the Regnitz River, and the interior is decorated with remarkable frescoes. One of the highest mountain ranges in Germany is the Harz Range, a region populated by picturesque, traditional homes, snow-covered peaks and peaceful rivers. The Grimm Brothers, who famously wrote many of the world’s most popular fairy tales, based some of their stories in the Harz Mountains. 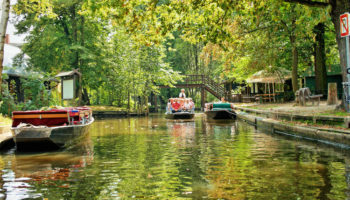 With a limited number of tourists, the Harz Mountains are slightly off the beaten track, offering activities like hiking to the summit of Brocken, the tallest peak, or riding an authentic steam train through the mountains and valleys. Located near the border with Belgium and the Netherlands, the Aachen Cathedral is the oldest cathedral in northern Europe. Construction on the cathedral began in the eighth century, and the design is a combination of Carolingian and Gothic styles. The cathedral was built by the king Charlemagne, and countless coronations were held there in centuries past. Visiting today, some of the most fascinating things to see are the incredible bronze Wolf Doors from the ninth century and the golden mosaics in the Palatine Chapel. Off the northernmost coast of Germany are the North Frisian Islands. Sylt is one of the most popular islands, although its northern location means it is not as accessible for travelers as other German tourist attractions. Sylt boasts endless beaches, not to mention gorgeous sand dunes and traditional lighthouses. A short walk from thatched roof cottages and open fields, you can make a splash at the beach and stay in a contemporary hotel suite. It is also popular to rent bicycles and tour the island that way. North of the Harz Mountains National Park is the charming, picturesque town of Quedlinburg. 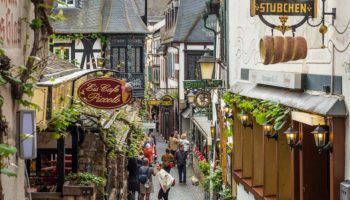 As visitors walk along the cobblestone streets, they will have the opportunity to view over 1,000 half-timbered houses. 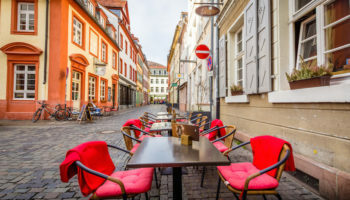 Since the town suffered minimal damage during the World Wars, it is one of the few destinations in Germany that retain its quaint, historic style. In addition to traditional residences, Quedlinburg is home to a German Romanesque cathedral known as the Dom and a variety of museums exploring local architecture, history and art. Not far from the city of Dresden is the Saxon Switzerland National Park, a sprawling park near the scenic Elbe Sandstone Mountains. The park crosses over into the Czech Republic, but the Czech side is known as the Bohemian Switzerland National Park. Saxon Switzerland National Park is home to the Elbe River as well as stunning rock formations, deep valleys and miles of hiking trails. Mountain biking and rock climbing are also popular pastimes within the national park. 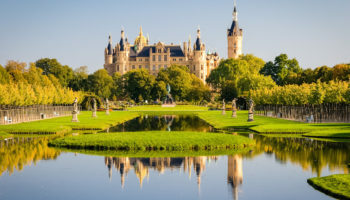 Schwerin Castle in the city of Schwerin is one of the most significant attractions in the state of Mecklenburg-Vorpommern. The castle is situated on an island in the middle of the Schweriner See, adding to its unusual appeal. Built in the 14th century, Schwerin Castle is now a seat of government, and it is open for guided and self-guided tours. The castle is said to be haunted by the ghost of a creature called Petermännchen, and these legends bring in a number of curious visitors each year. The Rügen Cliffs are located in the Jasmund National Park in the northeast of Rügen island. Facing constant erosion the chalk cliffs tower high above the Baltic Sea. The 118 meter (387 feet) high Königsstuhl (king’s chair) is the most majestic part of the cliffs. The undisturbed forests behind the cliffs are also part of the national park. In Southern Bavaria, right up to the Austrian border, is the small mountain town of Berchtesgaden. Despite its size, Berchtesgaden played a significant role in the shaping of German history. Known throughout history for its salt mines, Berchtesgaden is now better known for being the summer retreat of Adolf Hitler. 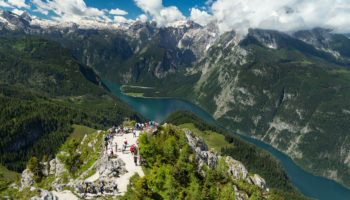 Most visitors come to see the Kehlsteinhaus, or Eagle’s Nest, at the top of Berchtesgaden. Even after the end of World War II, the structure was saved and now operates as a museum. The capital city of Berlin is filled with historic buildings, but one of the most important is the Reichstag. Although originally dating back to the 19th century, the Reichstag got a major renovation in the 1990s after being severely damaged in WW2. Following the end of the Cold War, Berlin was chosen as the overall capital, and the Reichstag became the official seat of government in Germany. It now boasts an incredible glass dome that offers views over the city and looks stunning when illuminated at night. The neo-Gothic Hohenzollern Castle is perched on a bluff overlooking two small towns at the foothills of the Swabian Alps. Constructed in the 19th century, the castle is the third to stand in the same spot over the last one thousand years. Hohenzollern Castle is situated with sweeping views over the landscape, and it boasts opulent rooms filled with stained glass windows and decorative frescoes. Family jewels and artifacts can be found in the Schatzkammer, or treasury. The highest mountain is Germany is the Zugspitze, located above the town of Garmisch. Although the peak is a world-renowned spot for serious skiers, a trip to the top is worthwhile whatever the season. From a lake at the base of the mountain, hop aboard the Zahnradbahn, a cogwheel train that heads partway up the mountain. Then, it’s onward on the cable car called the Eibsee-Seilbahn. At the summit, it is possible to view the landscape of four countries at once. 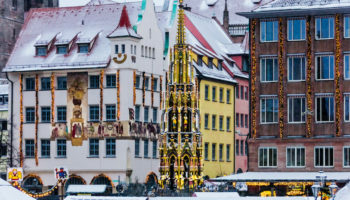 German Christmas markets are known the world over, and arguably the best of all is found in the Bavarian city of Nuremberg. The annual Christkindlesmarkt is held throughout the Advent season in Nuremberg’s old town, and it has been in place since the 17th century. Visitors should visit after dark, when lights illuminate the vendors selling traditional German handicrafts, Christmas tree ornaments, mulled wine and lebkuchen, a German gingerbread cookie beloved during the holidays. A true storybook village brought to life is Rothenburg ob der Tauber. Straight from the pages of a fairy tale, this Franconian town has a remarkably well preserved medieval center. Overlooking the Tauber River, many of the churches and residences date back to the 15th and 16th centuries. A highlight of the town is the Market Square, which is flanked on one side by the 13th century Town Hall Tower. The Schwarzwald, or Black Forest, can be found in the southwestern corner of the country. The name comes from the thick tree canopy, and the forest is a mecca for those who love beautiful scenery and outdoor recreation. Hiking, swimming in chilly Alpine lakes and mountain biking are popular pastimes, but the Black Forest also has some urban alternatives. Within the forest are several towns and cities. 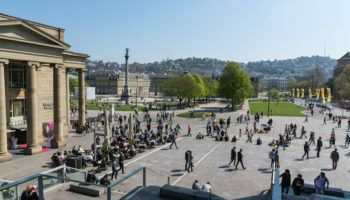 Baden-Baden is a world-famous spa retreat perfect for relaxation, and Freiburg is a bustling university town with amazing cuisine and nightlife. The Romantic Rhine is the most famous section of the Rhine, running between from Koblenz to Bingen. The river Rhine carves its way here through steep vineyard-covered hills topped with countless castles and ruins. The river has been an important trade route into central Europe since ancient times and a string of small towns has grown up along the banks. Constrained in size, many of these old towns retain a historic feel today. Located in Dresden, the Frauenkirche (Church of Our Lady) is a Lutheran church that was completely destroyed during WWII. The church reconstructed using original plans from the 1720s and reopened in 2005. The city of Coventry, which was raided by the Luftwaffe donated the golden cross for the dome of the church. 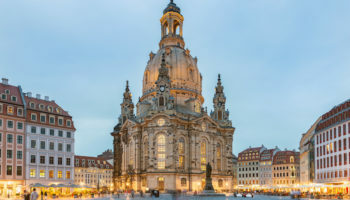 Since its reopening, the Frauenkirche has been a hugely popular tourist attraction in Dresden. In 2009 the church was visited by President Barack Obama. The historic city Lindau is located near the meeting point of the Austrian, German and Swiss borders in the eastern part of Lake Constance (Bodensee). The city is connected with the mainland by bridge and railway and has about 3,000 inhabitants. Full of medieval and half-timbered buildings, Lindau is quite a popular tourist attraction. The Oktoberfest in Munich is the largest Volksfest in the world with over 6 million visitors annually. Despite the name, the Oktoberfest starts at the end of September until the first weekend in October. An important part of Bavarian culture, the festival has been held since 1810. Visitors enjoy a wide variety of traditional fare such as Hendl, Schweinebraten, Würstl, Knödel and large quantities of German beer. Easily the greatest Gothic cathedral in Germany, Cologne Cathedral (Kölner Dom) has been Cologne’s most famous landmark for centuries. Construction of the Cologne Cathedral began in 1248 and took, with interruptions, more than 600 years to complete. It is dedicated to the saints Peter and Mary and is the seat of the Catholic Archbishop of Cologne. The Holstentor is one of the two remaining city gates of the city of Lübeck. Built in 1464, the gate now serves as a museum. Because of its two captivating round towers and arched entrance it is regarded as a symbol of Lübeck. 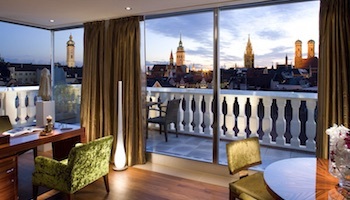 Together with the old city center (Altstadt) of Lübeck it is one of the top tourist attractions in Germany. Located in the Neckar river valley, Heidelberg is one Germany’s most popular tourist destinations. During WWII, the city was almost completely spared by allied bombings which destroyed most of Germany’s larger inner cities. 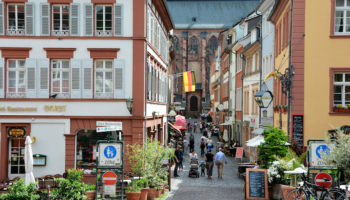 As a result, Heidelberg has retained its baroque charm of narrow streets, picturesque houses and the famous Heidelberg Castle. The Brandenburg Gate is the only surviving city gate of Berlin and symbolizes the reunification of East and West Berlin. Built in the 18th century, the Brandenburg Gate is the entry to Unter den Linden, the prominent boulevard of linden trees which once led directly to the palace of the Prussian monarchs. It is regarded as one of the most famous landmarks in Europe. The ultimate fairytale castle, Neuschwanstein is situated on a rugged hill near Füssen in southwest Bavaria. It was the inspiration for the Sleeping Beauty castles in the Disneyland parks. The castle was commissioned by King Ludwig II of Bavaria who was declared insane when the castle was almost completed in 1886 and found dead a few days later. Neuschwanstein is the most photographed building in the country and one of the most popular tourist attractions in Germany. Which attractions in Germany do you consider to be the most interesting? German is a very interesting country.. so just want to visit it 0nce!!! Woah! I like Rugen Cliffs! Another highlight in Germany is the river the Mosel, beautiful villages and a wine growing area. Also the insane King Ludwig had more castles built in the south of Germany that are very much worth a visit. Germany is a beautiful country,I would like to visit. I am really lucky to visit this beautiful country in 2012 September. The people, its places all are amazing and accommodative !!!!! I just cannot forget all about it. I have two year training in Footwears technology at permasan GERMANY.I found GERMANY a most beautifull country.German are very friendly and beautyfull by heart and soul,they are unforgetable for me. I love Germany and hope to travel to there.thanks alot! I obtained my PhD degree from Germany, and I visited many German cities when I was a student there. To my mind, Heidelberg is the most beautiful one, it is totally different from others. I just visited Germany. Munich is an impressive city. But what I liked the most was visiting the Alps. Going up 10,000 feet in a cable car was awesome. The small towns are as amazing as the big cities. Everything is beautiful. 15) It was called the Reichstag but after WW2 it was renamed to the Bundestag. Last year I have visited Finsterwalde and I was so amazed. It’s also called Die Sängerstadt.